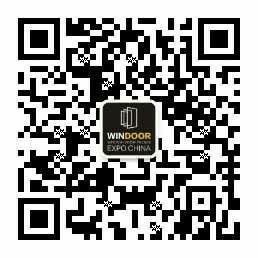 Windoor Expo is the ultimate industry event in China connecting architects, builders, contractors, fabricators, real estate developers and traders. This annual trade fair brings 600 international manufacturers and suppliers in the window, door and facade industries showcasing 20,000 leading products across the world. Windoor Expo 2018 concluded successfully on 13 March. 579 exhibitors and brands presented current window, door and facade industry trends and innovations on a floor space of 85,000 square meters. 64,518 visitors from 85 countries and regions joined at this 3-day event. Leading exhibitors included AKZONOBEL(CHINA) INVESTMENT CO., LTD., ASSA ABLOY GUOQIANG (SHANDONG) HARDWARE TECHNOLOGY CO.,LTD, CMECH(GUANGZHOU) INDUSTRIAL LTD., DOW (SHANGHAI) HOLDING CO., LTD., DSM (CHINA) LIMITED, FISCHER FIXING SYSTEM CHINA,HILTI (CHINA), GALUMINIUM GROUP LTD., GUANGZHOU JOINTAS CHEMICAL JOINT STOCK CO., LTD., GUANGDONG KINLONG HARDWARE PRODUCTS CO., LTD., PRESS METAL INTERNATIONAL LTD., TECHNOFORM GROUP, XINYI GLASS ENGINEERING (DONGGUAN) CO., LTD., and many more. Besides the loyal exhibitors above, the first-time overseas ones, such as, ABBA ALUMINIUM CO., LTD. from Taiwan,China, DOMINIONHOUSE PTY LTD from Australia, PD DOOR PTE LTD from Singapore, and SERPAM S.A. from Greece, etc., also brought their newest products and solutions for aluminium profiles, windows and doors to the Windoor Expo 2018. Click to view the full 2018 exhibitor list. With more than 50 innovative and also awarded products of aluminum profile, building glass, coating, hardware, facade panel, machinery and window door system, the Star Galaxy(Innovation Zone) took center stage of Windoor Expo again. Visitors could view and compare the latest products from across Asia and the world at this highlighted section. 28 overseas buyers and 50 selected exhibitors had more than 100 one-to-one business matchmaking meetings at the VIP Lounge on the 2nd day of the expo. Around 65% buyers located their interested products and solutions or found the right suppliers on-site. The International Trade Administration forecasts the global market for windows and doors to reach an estimated US$244 billion by 2022, reflecting 4.1% CAGR from 2017-2022. Windows and doors are a widely traded commodity. In 2016, world trade of windows and doors reached US$15.2 billion, with China as largest source of global exports at slightly more than 20% of the market, followed by Germany and Poland, each with just over 11%. The next Windoor Expo will take place at the Poly World Trade Center, Guangzhou,China from 4 to 6 March 2019. Visit www.windoorexpo.com for details.